Squaring your horse - just pretty or purposeful? It seems like such a minor thing but yet has huge ramifications. 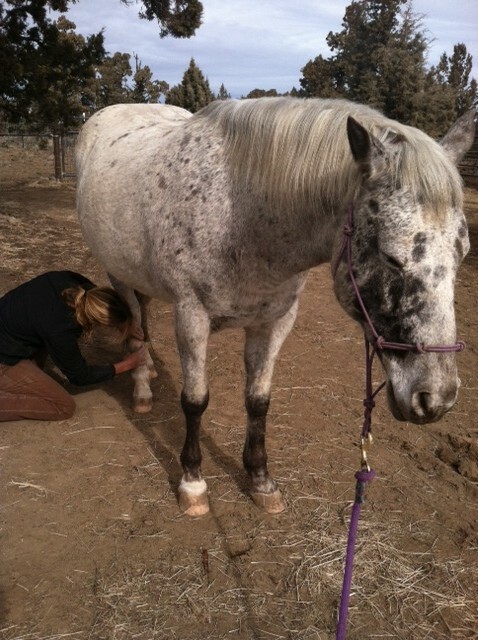 Following your horse’s body realignment, the creation of new neuropathways in the brain and new neuromuscular memory, it is critical to reinforce these through squaring and stretching. The old adage if you don’t use it you will lose it holds true here. Old habits of incorrect alignment and movement will take over. Asking your horse to square up and stretch reinforces how they will stand and carry themselves in balance and alignment throughout the day, rather than in the compensation patterns that they have made habit. This work is truly retooling how they stand and move in the pasture and in their stalls. Try starting up those stairs with the opposite foot than you usually do or crossing your arms with the opposite arm on top. Feel odd? Now you can understand how the horse feels when he/she has been placed in different alignment and then asked to walk, trot and canter. The squaring and stretches reinforce correct movement in your horse until it becomes habit. 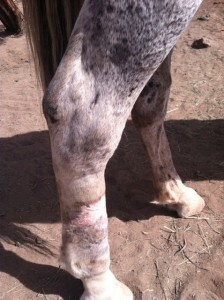 It will benefit your horse to do these for the rest of its life. I would like to share with you an incident a client shared with me recently. 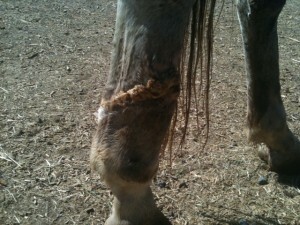 Her horse took a misstep out of a horse trailer and got herself a little unraveled. The horse on its own squared up, put its head down and started to yawn. Sort of the equivalent of the human yoga down dog position which allows us to self correct spinal alignment in our spine (assuming it is flexible enough to do so). Once your horse has been aligned and the spine, along with muscles and tendons have reached a point of flexibility they can self adjust also. Think of the comparison of a board and a Gumby horse figure. Which is more flexible? Always making time to square and stretch whenever you spend time with your horse, be it every day or just weekly is of paramount importance in maintenance of health.